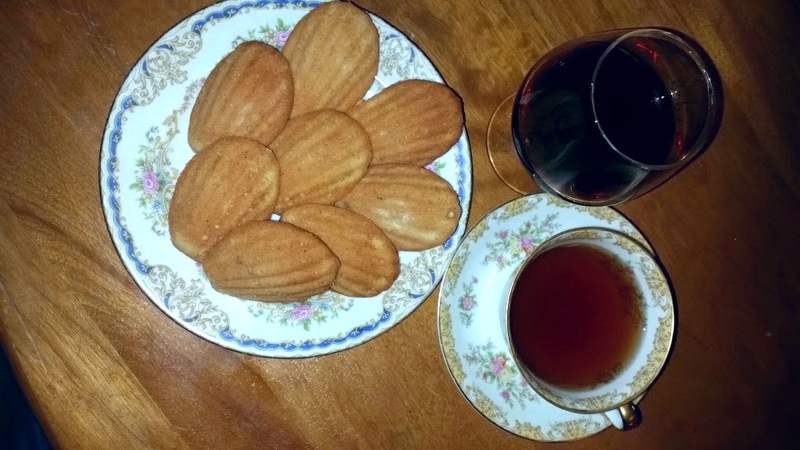 I love to bake, and one of my favorite things to make is a batch of Madeleines. They're simple, delicious, and elegant, and they never fail to impress. As with many recipes I re-use, I've played around a bit to incorporate some whole wheat flour. The only special equipment you need are a pair of Madeleine tins, available at kitchen stores or online for about $9-15 each. They're well worth the investment, as you'll use them over and over again. This recipe makes 24, another thing I had to play with a bit. 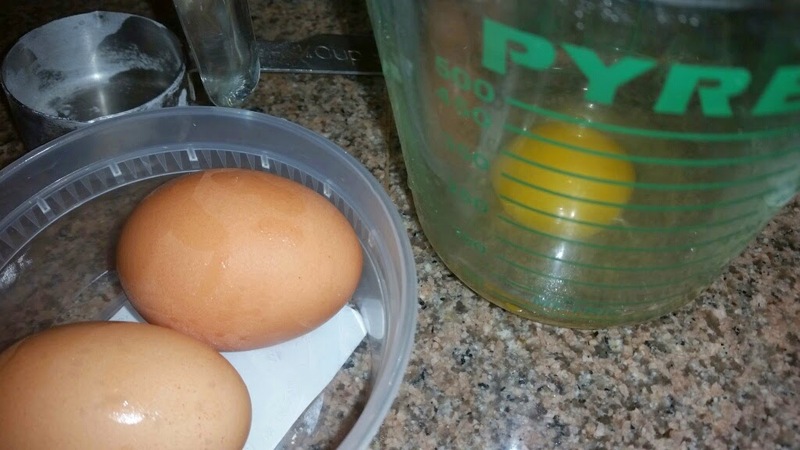 About an hour before you start, take the butter (1 and 1/2 sticks plus extra for the tins) and 3 eggs out of the fridge so they come to room temperature. If you forget to do this, it's not the end of the world. 1. Preheat the oven to 350 degrees. Put one of the oven racks at the middle height. 2. Prepare the tins with butter and all-purpose flour. Note: you can use a baking spray that's a mix of oil and flour, but I find that the spray mechanism tends to get clogged by the flour. 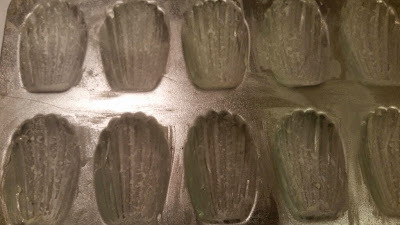 Instead, take a piece of butter in your fingers and work it into the grooves of the shell shapes. 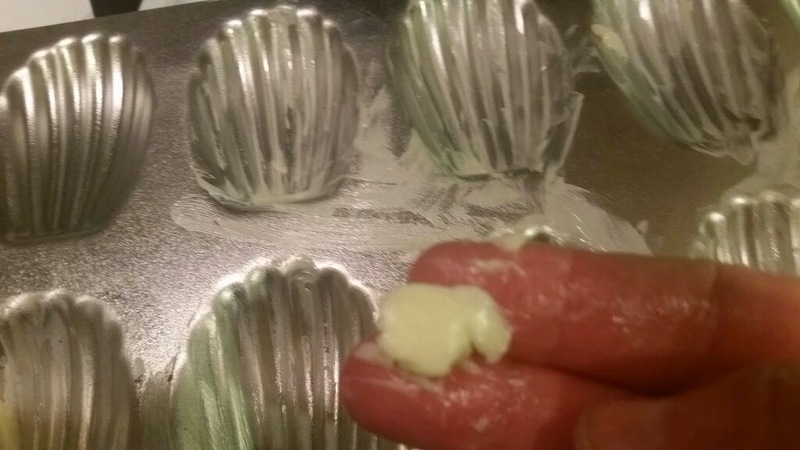 Repeat with more small pieces of butter until each shell is well-coated. Put a little flour in each shell and shake the tins around in kind of a circle until the flour is evenly distributed. You can try skipping this step, but you might end up with 24 very stuck little cakes. Better safe than sorry! Set the pans aside, preferably not on the stove because it should be getting warm by now. 3. 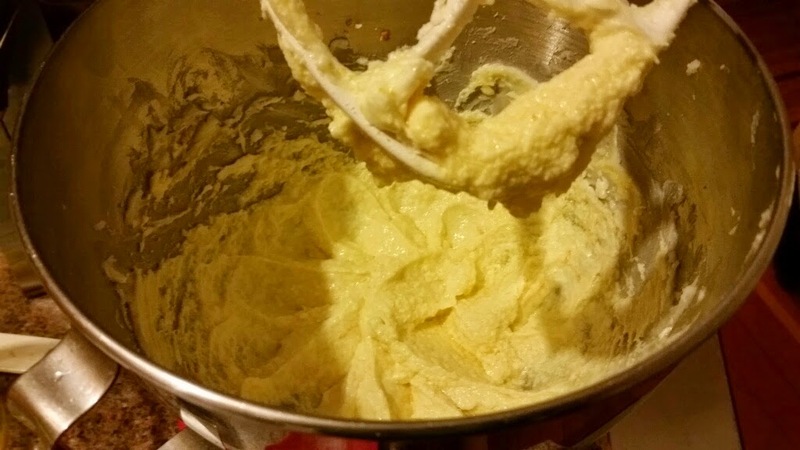 Cream the butter and sugar: Put 1 and 1/2 sticks of softened butter and 3/4 cup granulated sugar into a medium bowl or the bowl of a stand mixer. Beat on medium about two minutes until the mixture is light and fluffy, which means until it looks a bit like vanilla frosting. It might take a little longer than two minutes if you didn't soften the butter or if you use raw sugar. Scrape down the sides of the bowl with rubber or silicone scraper. 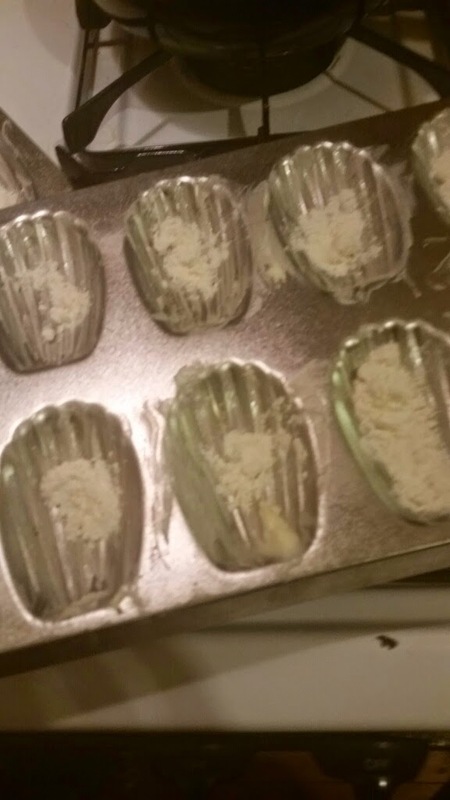 Add 3/4 tsp baking powder and 1 and 1/4 tsp vanilla and beat one more time. 4. Add, one at a time, 3 eggs, preferably pastured or from the farmer's market: First, crack one or all three into a glass container of some sort. This will allow you to make sure there are no little bits of shell remaining. Then add one egg at a time, beating for one minute and stopping to scrape down the sides of the bowl after each addition. The batter is supposed to look smooth at this point, but mine always looks a little lumpy because my apartment is usually much cooler than the 73 degrees that "room temp" implies. If you put in the butter and eggs straight from the fridge, it'll look even lumpier. Not to worry, it'll turn out fine once you add the flour. 5. By hand, whisk in 3/4 cup each of all-purpose flour and white whole wheat flour* (total of 1 and 1/2 C flour). You can use all of one kind of flour or the other, but I like the flavor and texture of the blend. Also, if you get in small amounts of whole grains and other healthy things throughout the day, the nutrition adds up. 7. Bake at 350 for a total of 15 minutes. For evenly colored Madeleines, set the timer for 7 minutes and 30 seconds, then turn the pans front to back and bake for another 7 min 30. 8. Remove from the oven, let rest one minute, then turn Madeleines out of the tins and onto a wire rack to cool. Once they are cool to the touch, enjoy with coffee, tea or a lovely dessert wine. Don't worry if they have uneven edges. That's how people will know you really made them yourself instead of buying them. The Madeleines should keep in an airtight container for a few days, but if you take them to share with your co-workers, they won't last that long! *White Whole Wheat flour is whole wheat flour made from soft white wheat, rather than the hard red wheat used to make most whole wheat flour. I find it more palatable for some recipes, and it's becoming pretty easy to find.